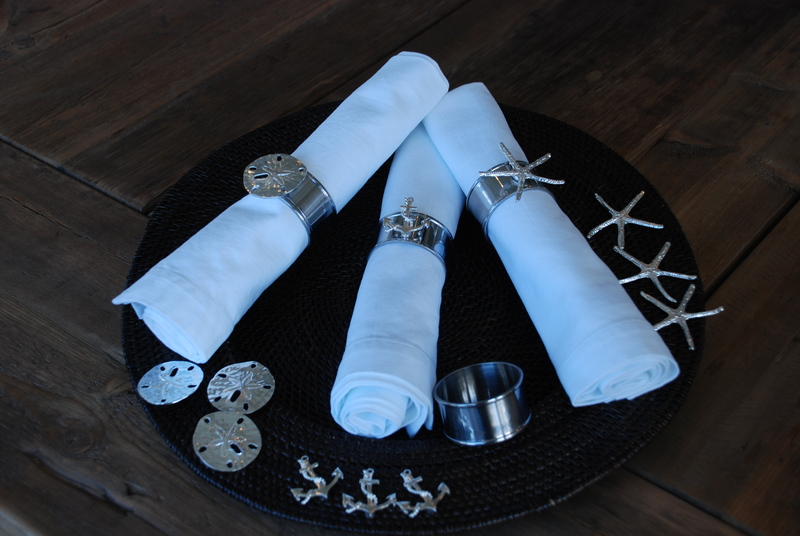 Yesterday, while browsing in Hildreth’s in Southampton, NY, I came across a very clever set of napkin rings, made by a company called Table Transformations based in Boca Raton, FL. These shiny chrome rings caught my eye right away, when I saw them set up on a table display in the store, and I knew I just had to have them. 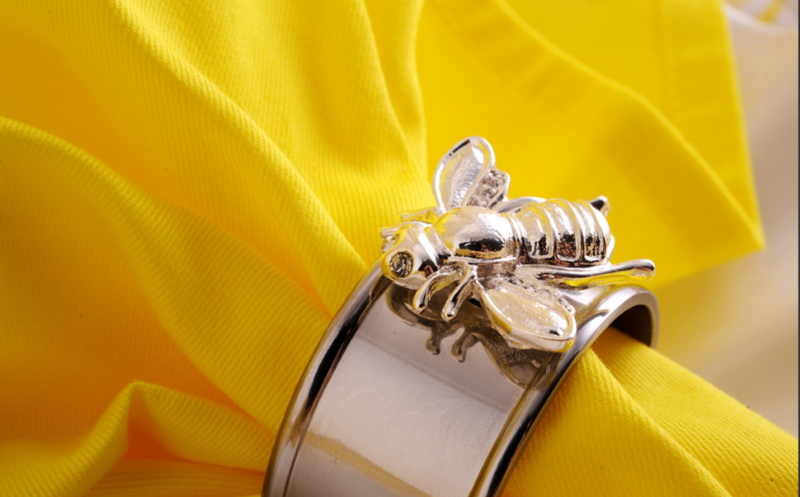 The napkin rings come in a set of four rings with magnetic interchangeable, whimsical embellishments, which the company calls “whimsies.” From starfish, to anchors, to bumble bees, and even snowflakes, the possibilities are endless. 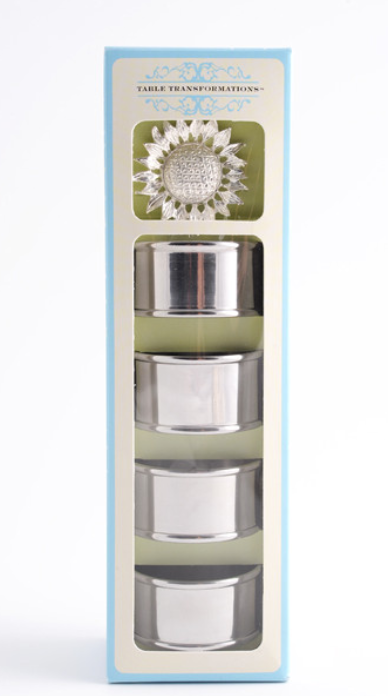 Additional whimsies can be purchased in sets of four. I couldn’t decide which whimsie I loved most, so I ended up leaving with three sets! 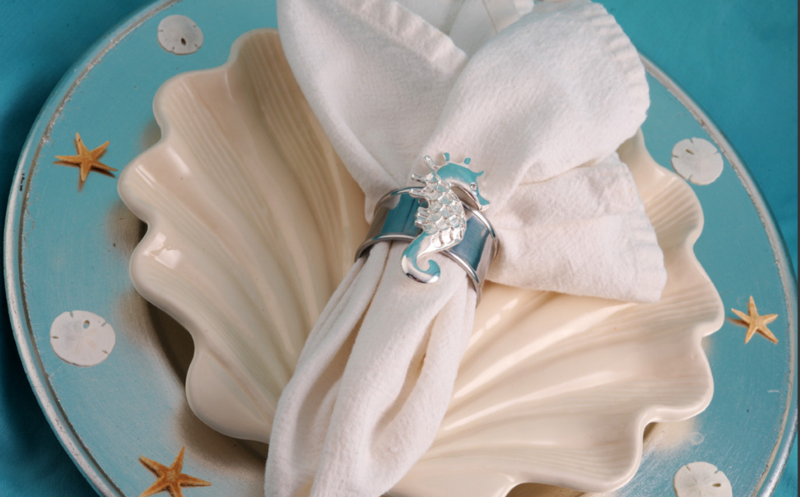 These napkin rings look great with any color or printed napkin, and can be used for any event from a casual outdoor picnic, to a formal dinner party. I can’t wait to use mine at my next dinner party! 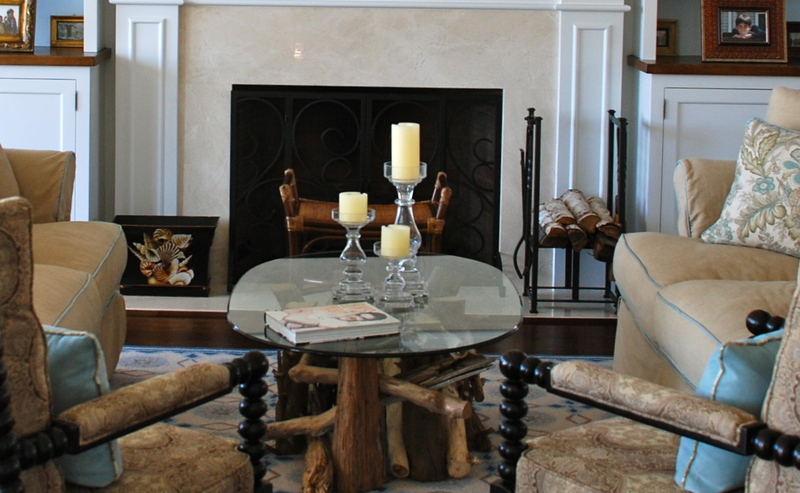 Incorporating bits of the natural world into your home is a great way to add texture to your overall design. The latest material that I’ve been working with is driftwood. 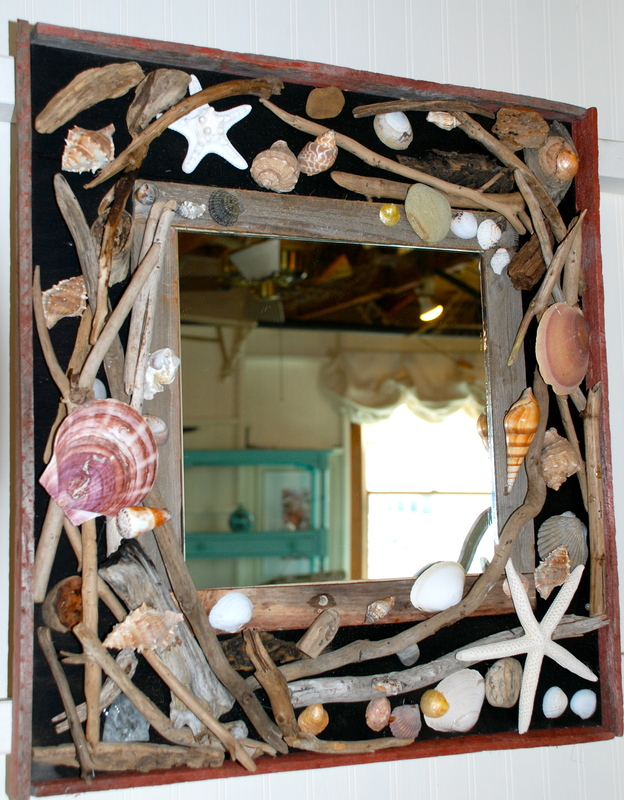 While combing the beach last summer for seashells and sea glass I came across some beautiful pieces of driftwood, and decided I must find a way to use them in my latest projects. 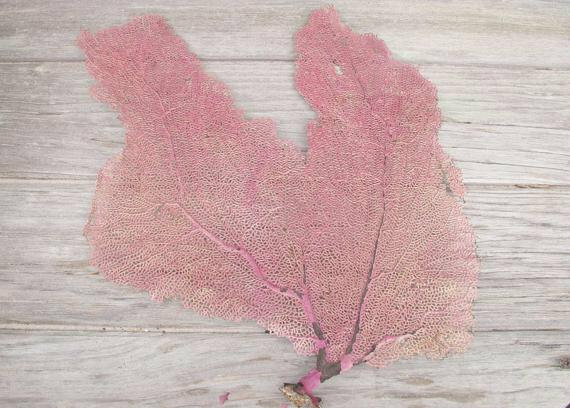 I like the different shapes of these small pieces of wood that have been perfectly smoothed by the sea, surf and sun. 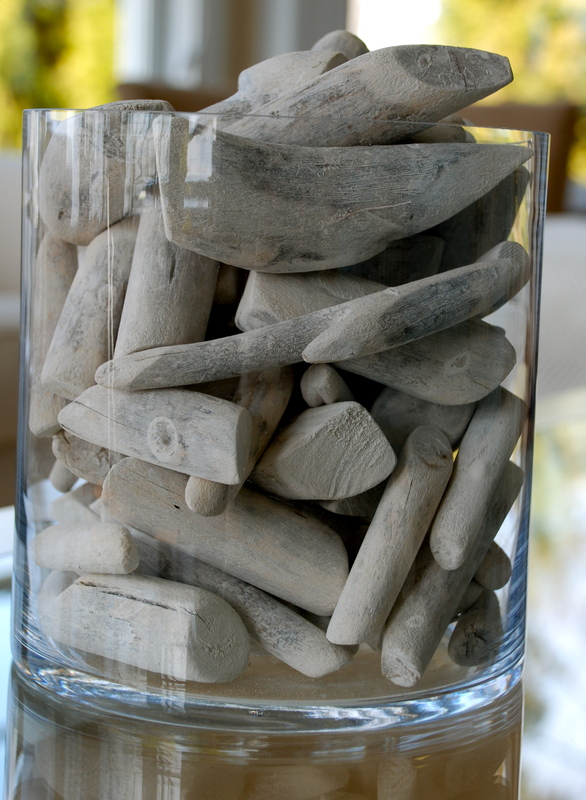 I began adding these weathered pieces to my “treasure” pile, and before I knew it, I had enough pieces to fill a large glass vase to add to my nautical theme. 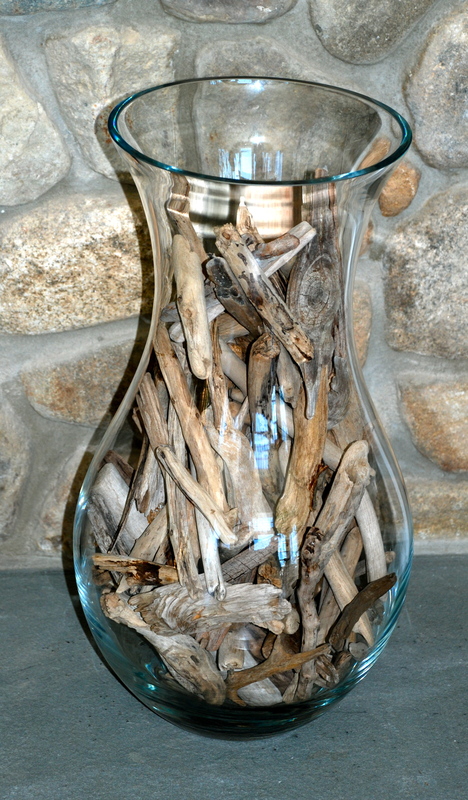 If you saw my post from yesterday, then you know that I love using glass vases filled with shells, sea glass, and now driftwood in my designs. 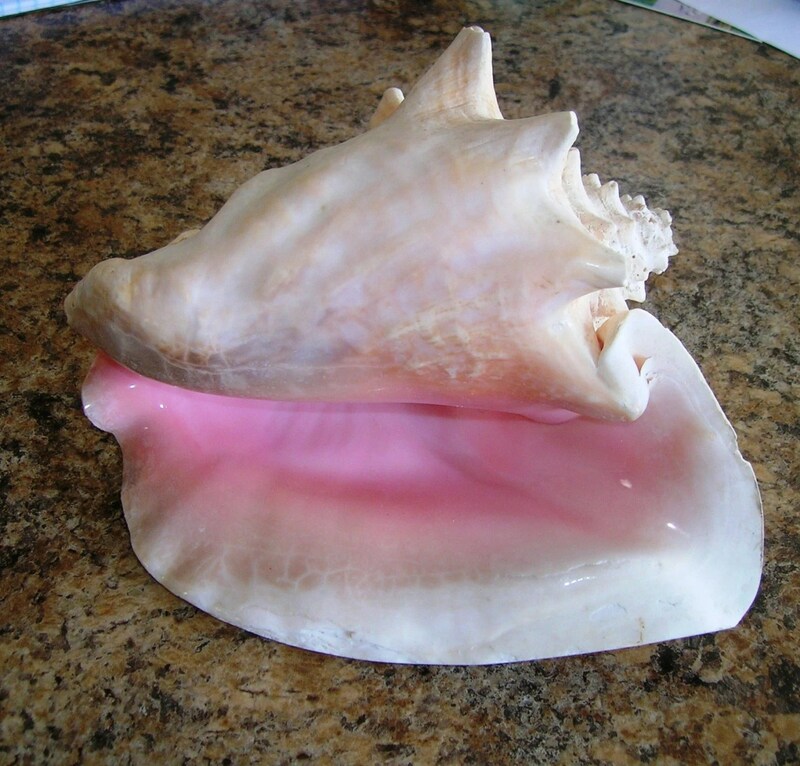 It’s a great way to inexpensively add texture and dimension to your home decor. 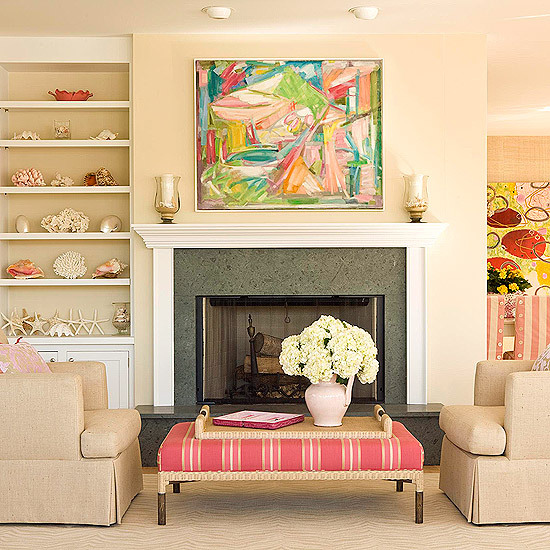 After a trip to Hildreth’s in Southampton, NY this afternoon, I found that I am not the only one using driftwood as an interior design trend this season. 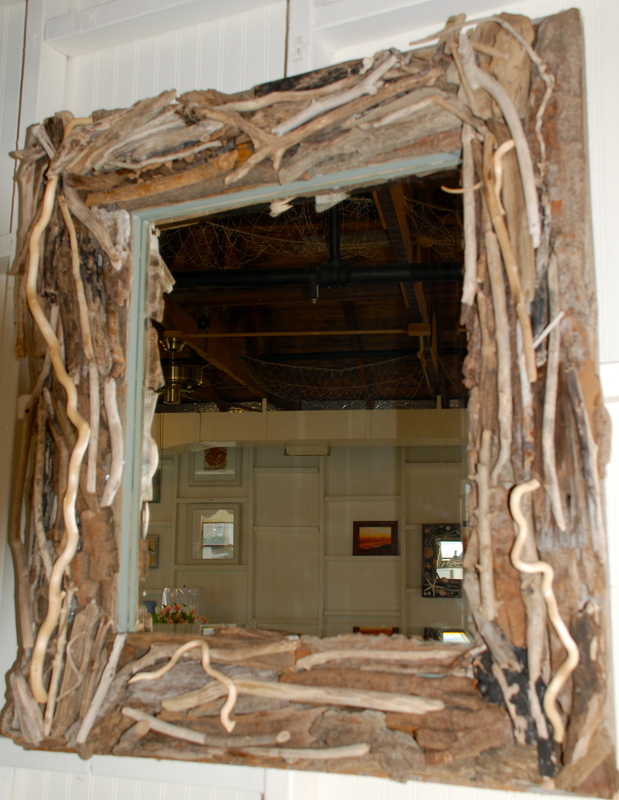 I found an abundance beautiful custom made tables, mirrors and furnishings made from driftwood. 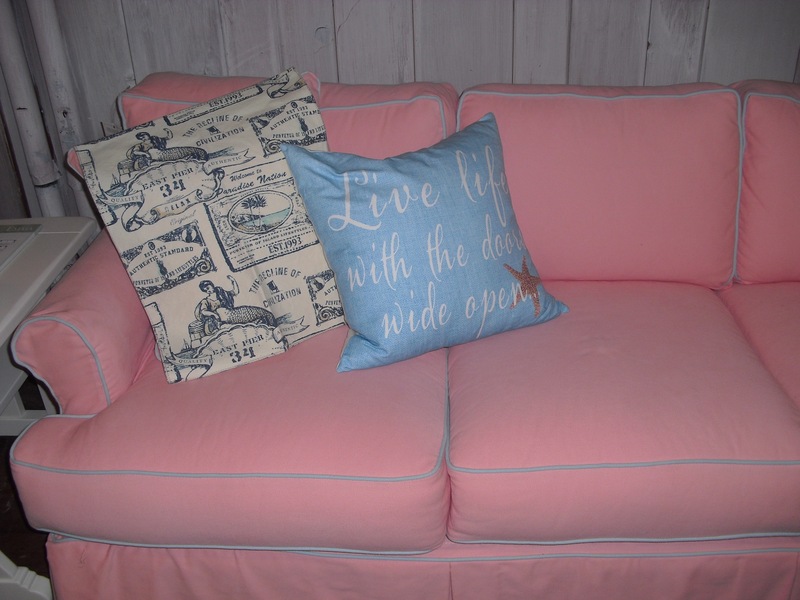 Here’s a few shots of some beautiful driftwood furniture and home decor. 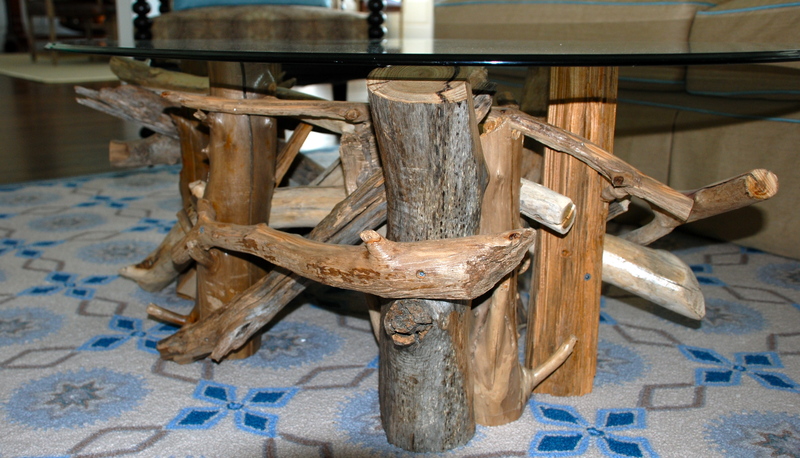 The driftwood coffee table and two driftwood mirrors are available at Hildreth’s in Southampton.